In a paper titled Conditions for Transient Viremia in Deterministic in-Host Models: Viral Blips Need No Exogenous Trigger, published last month in the SIAM Journal on Applied Mathematics, authors Wenjing Zhang, Lindi M. Wahl, and Pei Yu present a model to study persistent infections. In latent infections (a type of persistent infection), no infectious cells can be observed during the silent or quiescent stages, which involve low-level viral replication. These silent periods are often interrupted by unexplained intermittent episodes of active viral production and release. "Viral blips" associated with human immunodeficiency virus (HIV) infections are a good example of such active periods. "Mathematical modeling has been critical to our understanding of HIV, particularly during the clinically latent stage of infection," says author Pei Yu. "The extremely rapid turnover of the viral population during this quiescent stage of infection was first demonstrated through modeling (David Ho, Nature, 1995), and came as a surprise to the clinical community. This was seen as one of the major triumphs of mathematical immunology: an extremely important result through the coupling of patient data and an appropriate modeling approach." These findings are consistent with clinical observations where even patients on the best currently-available HIV therapy periodically exhibit transient episodes of viremia (high viral load in the blood). A number of reasons have been proposed for this phenomenon, such as poor adherence to therapy or the activation of a hidden reservoir of HIV-infected cells. "If adherence is the underlying factor, viral blips are triggered when the patient misses a dose or several doses of the prescribed drugs," explains Yu. 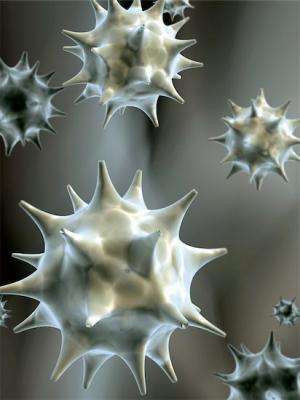 "If activation is the cause, blips may be triggered by exposure to other pathogens, which activate the immune system. Our work demonstrates that viral blips might simply occur as a natural cycle of the underlying dynamical system, without the need for any special trigger." The models proposed in the paper can be used to study a variety of viral diseases that exhibit recurrent infections. "We are currently extending this approach to other infections, and more broadly to other diseases that display recurrence," says Yu. "For example, many autoimmune diseases recur and relapse over a timescale of years, and once again, the 'triggers' for episodes of recurrence are unknown. We would like to understand more fully what factors of the underlying dynamical system might be driving these episodic patterns."